before 1945 ( Findlay Galleries [1870- ] ; Wally Findlay Galleries [?-?] ; City Art Rooms [1870-1971] ; [1995?- ] 124 E 57th St, New York, NY 10022 | [1963-1995] 15 East 57th Street, New York, NY | [?-?] 17 East 57th Street, New York, NY | [?-?] 11-13 East 57th Street, New York, NY | [1995-?] East 60th Street, New York, NY | [1971-?] Beverly Hills, CA | [1970s-?] Tokyo, Japan | [1971-?] Paris, France | [1961-?] Palm Beach, FL | [1932/8-?] Chicago, IL | [1870-1936] Kansas City, MO ) . 2017 Nadeau’s Auction Gallery, Windsor, CT, “Important Annual New Years Day Auction”, January 1. 2007 Shannon’s Fine Art Auctioneers, Milford, CT, “Sale”, April 26. 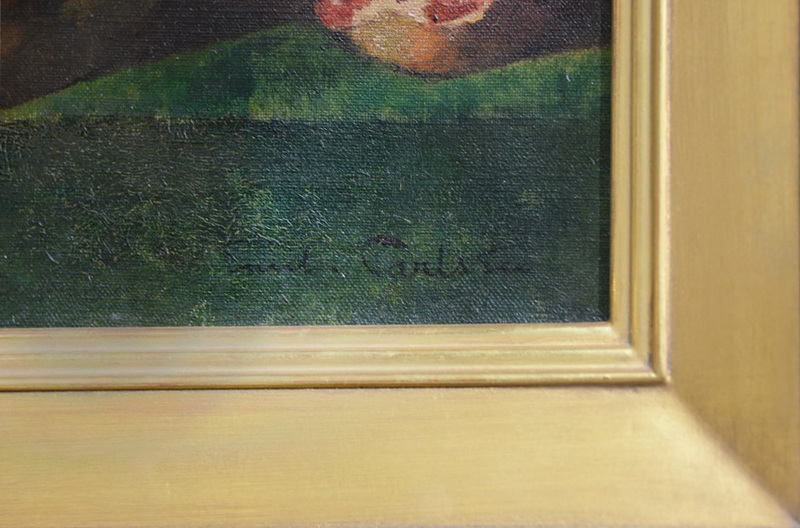 1999 Sotheby’s New York, NY, “Sale”, December 1. 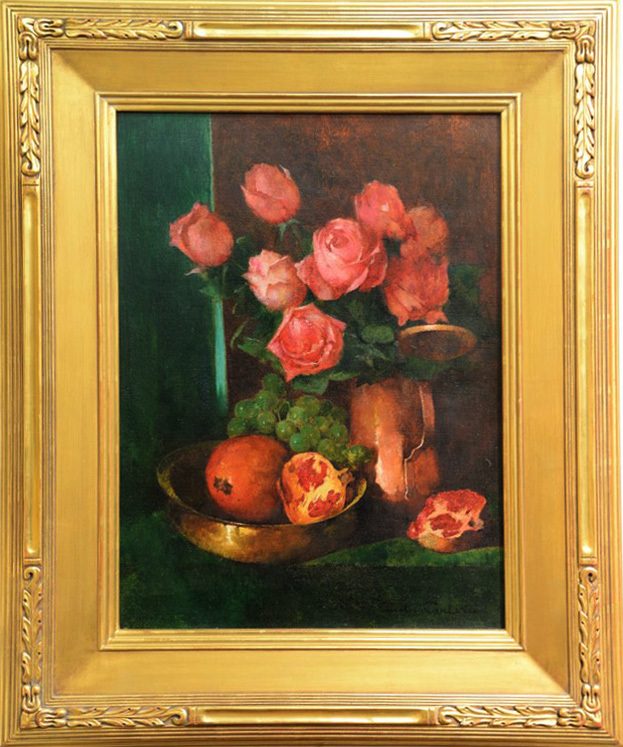 – Nadeau’s Auction Gallery, Windsor, CT, Online Exhibition Catalog, “Important Annual New Years Day Auction”, January 1, 2017, lot #608, illustrated: color, shown as Still Life of Grapes, Pomegranates, and Roses. 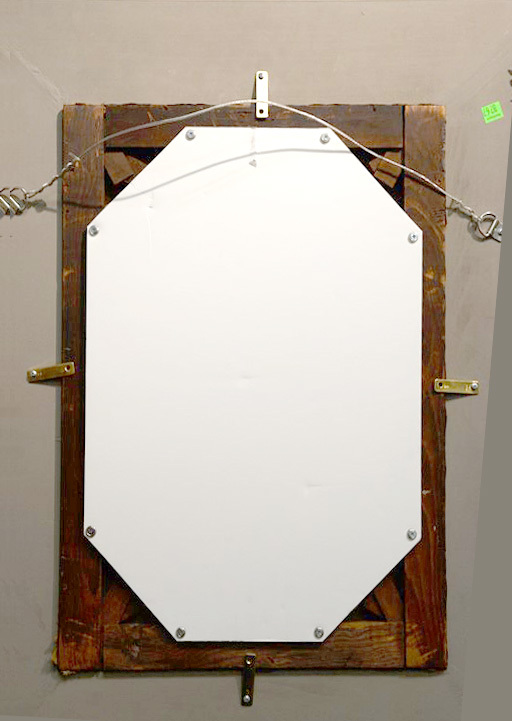 – Shannon’s Fine Art Auctioneers, Milford, CT, Sale Catalog, “sale”, April 26, 2007, lot #122. – Sotheby’s New York, NY, Sale Catalog, “sale”, December 1, 1999, lot #41. – William Gerdts Photographs, 1972, Butler Institute of American Art, 524. – Butler Institute of American Art, Supplement to the Catalogue of the permanent collection of American art, Youngstown, OH: The Institute, 1960.